As a Christmas gift LHFC are raffling an Everton ball signed by the 17/18 Team, which was donated to Liverpool Homeless Football Club by Everton FC in April 2018. As an organisation we reached out to Everton FC this year asking for a donation to raise money for Liverpool Homeless Football Club. With the demand for help this winter increasing we thought it would be the perfect time to conduct a raffle with all proceeds going to the homeless and less fortunate in Liverpool this Christmas. All tickets will be 50P each. With a SPECIAL OFFER of 15 tickets for only £5.00. 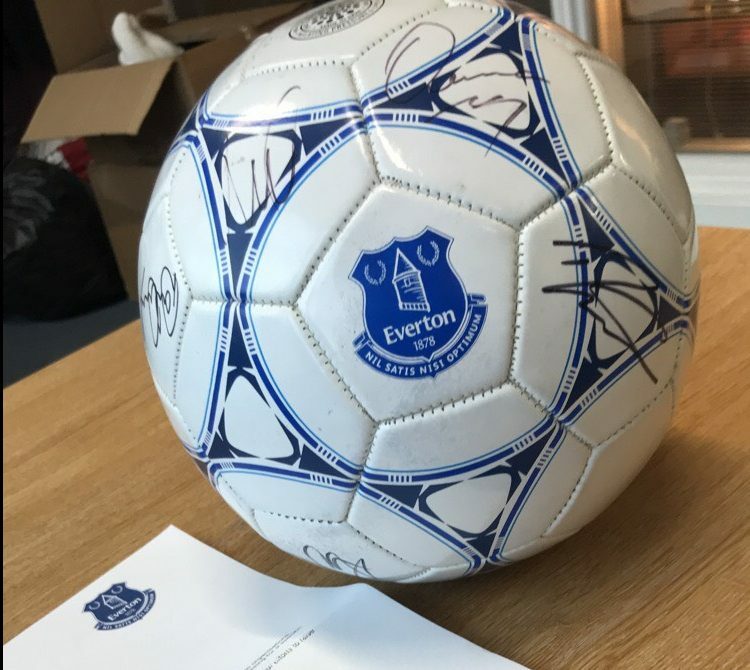 The Raffle will be drawn on Wednesday 14th November at the Christmas Market stall and the ball will be sent out before Christmas with the letter of authenticity from Everton Football Club. Many thanks to the club for donating the signed ball and also many thanks in advance for all who support this great cause.